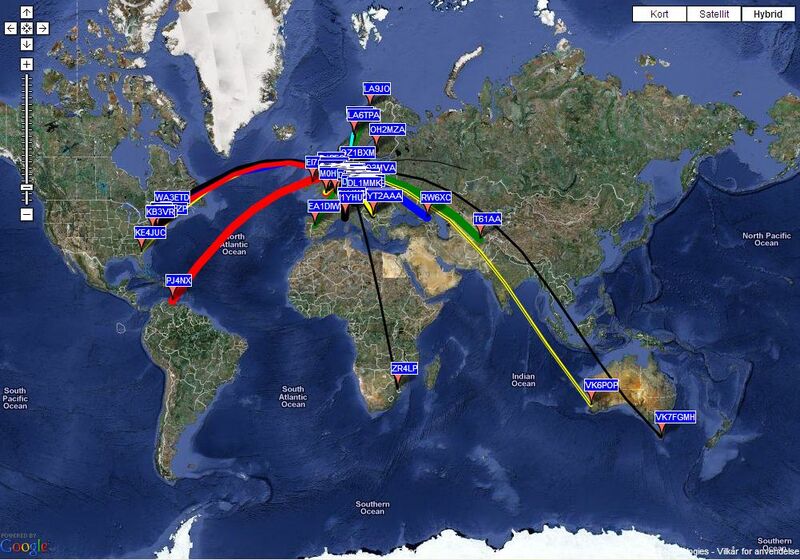 All continents "worked" with WSPR on 40 meters on January 25th, 2010. The following lines were extracted from the database at http://wsprnet.org. The propagation map at http://wsprnet.org displays the location of ZK1AGG/P in the South Pacific Ocean. ZK1AGG/P in Rarotonga, South Cook Islands. The pin-pointed station in Australia is VK7FGMH in Hobart, Tasmania. Written January 27th, 2010 by Lars Petersen, OZ1BXM.